I rarely put quotes in my blogs. However, I like this quote from Alphonse Karr because of the optimistic attitude. Often when I am tearing along on my bike, or running as fast as I can go, I lose track of the beauty of my surroundings. I live in the Colorado high country on purpose. My choice of lifestyle means I have a long commute and I shovel a lot of snow in the winter. This year has been very wet and rainy in Colorado. The winter snowpack was tremendously deep. Rivers are still flooding since the snow at 12,000 to 14,000 feet is melting fast! Eighteen states depend on water from Colorado. The rather funny part is that Colorado is a high desert. 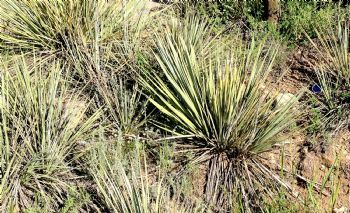 There is quite a bit of natural Yucca and Prickly Pear Cactus where I live. There are 156 rivers that have headwaters in Colorado. 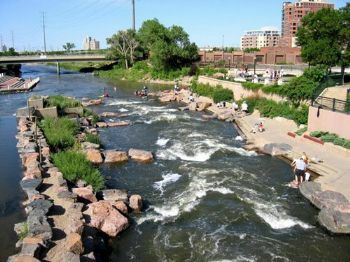 The major rivers that start in Colorado include the Arkansas, Colorado, Rio Grand and Platte. Here is a shot of the confluence of Cherry Creek and the Platte River. On the right side you may be able to make out a picnic area that is under water. The water here is very noisy. 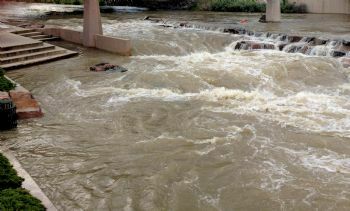 This is what normal flow looks like at the confluence. I downloaded this photo. The water is cold and people like to wade and splash around in the summer. Right now, there are signs posted forbidding water activities. I would hope that people would have enough sense to stay out of water that could tear them to tiny bits. I live in the Montane Zone. When get ambitious and go up, I enter the Subalpine Zone. If I get lazy and go down, I end up in the Foothills Zone. Each life zone is defined by average temperature and precipitation. On a 10 mile run or ride, I can go through all three zones. Each zone has unique flora and fauna. Unfortunately, I live in the zone with the most bears. A really pretty black bear tossed my trash barrel a few nights ago. When I opened the door and racked my shotgun to chamber a rubber buckshot shell, the bear took off like lighting. Evidently, I may have blasted him before and he wanted no part of another rubber buckshot "spanking". Low velocity soft rubber buckshot is approved by the Colorado Division of Wildlife as a method for dealing with nuisance bears. 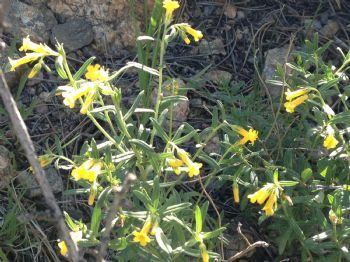 On my last run, I took some photos of mountain wildflowers with my cell phone. BTW - taking photos with a phone still sounds strange to me. Most of the photos I took were blurry. Here are some of the best ones. We call this flower "Mountain Violet" . 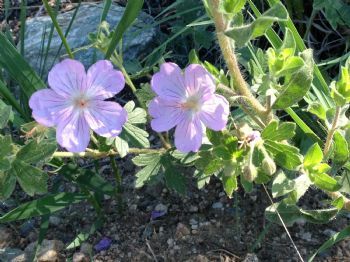 However, this flower is a "Checker Mallow" and is a wild Geranium. This flower looks like a miniature Daisy, which is exactly what it is. 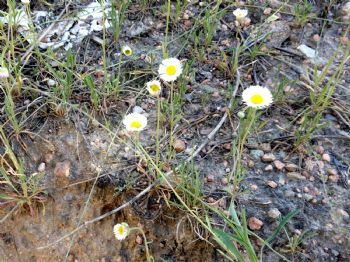 This flower is an "Alpine Daisy". These are "Alpine Sunflowers". The blossoms are about and inch in diameter. We call this flower "Buttercup". The real name is "Yellow Trumpet". This flower is called "Fairy Trumpet". 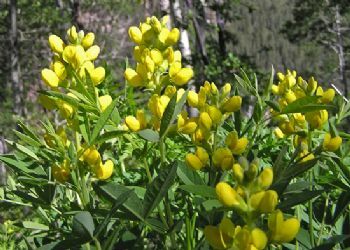 Everybody knows this flower as the "Wild Sweet Pea". The correct name is "Yellow Banner". We call this flower the "Indian Paintbrush", which it is not. 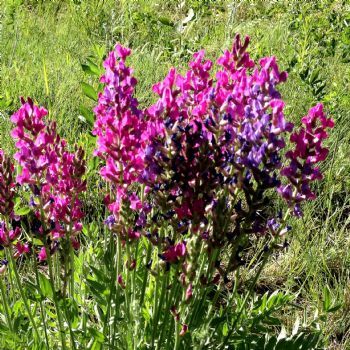 This flower is called "Lambert's Locoweed" or "Purple Locoweed". This is an extremely rare subalpine flower that is the wild "Mountain Poppy". The blossoms are a little over an inch in diameter. 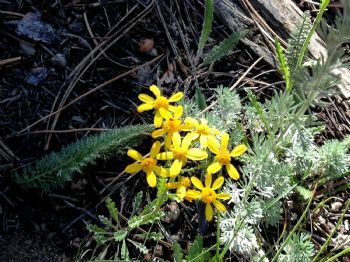 Mountain flowers tend to have small blossoms. This is a spectacular little flower. This flower is called "Devil's Fork" by locals. However, the correct name is "Rosy Paintbrush". 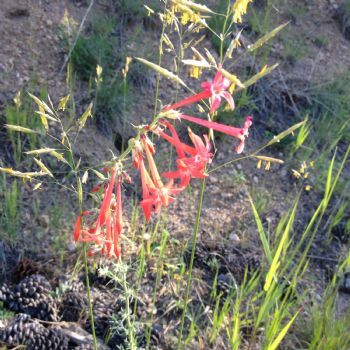 This flower is also called "Indian Paintbrush". 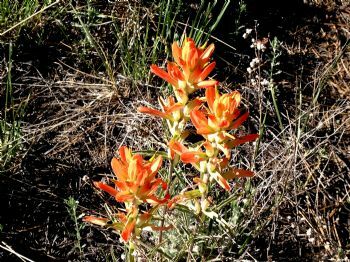 There is a bright orange variant called "Orange Paintbrush." We call this flower "Blue Bells". 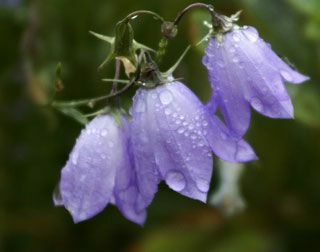 The correct name is "Harebell." I think we will stick with "Blue Bells". 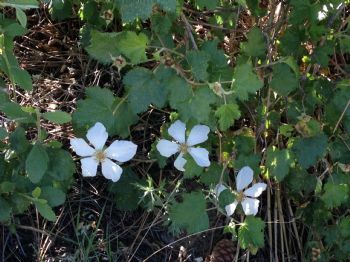 This flower is the "Wild White Rose". There is a pink variant that is on smaller bushes, I took a photo of the pink rose, but it came out blurry. Wild rose hips are high in vitamin C and were used by Native Americans and Settlers to fight land scurvy. Bruce, I just love your pictures and always enjoy reading your blogs. I really enjoy the country and you live in a very beautiful state. Thank you for sharing. Great and informative blog! Loved the pictures. When my daughter lived in a B&B in Wray, her room was named Indian Paintbrush! When we lived in Altus OK I was shocked that 80% of farming is not irrigated. I don't know how they grow anything there. I'd like to see more of CO someday. Bruce thanks for sharing scenes of your locale. Hope you're enjoying your fourth! Thanks for letting me see your country. Love the wildflower pics, Bruce. A nice brght spot in my day. Very pretty. I'm glad you took the time to take some pics. When we're involved in our outdoor recreational activities like biking, trail running, or hiking, concentration is on the trail, not the surroundings. Slowing down the pace to "smell the flowers" every now and then is necessary. Poppies of all sorts and colors are my absolute favorite. We grow California poppies in our garden and enjoyed the poppy fields this spring. Just got back from Europe where we saw bunches of red poppies.